State-of-the-art technology and crystal-clear transparency – in the glass ice palace, complete with breathtaking, unobstructed views of Innsbruck’s Nordkette mountain range, professional ice hockey and tennis players, handballers and ice dancers demonstrate their sporting prowess. From power play to pirouettes on the ice, they guarantee fully packed seats and a second-to-none ambience. Cheering, rooting and firing up the atmosphere is the name of the game in the Tiroler Wasserkraft Arena. During the Christmas holidays (25.12.2018 - 06.01.2019) and mid-term break (11. - 16.02.2019) the outdoor ice track stays open without a break from 2.00 pm to 10.00 pm. *) Opening period is weather-dependent. May be subject to change. No school group skating during the Christmas holidays (24.12.2018 - 06.01.2019) or mid-term break (11. - 16.02.2019). A large numbers of skates are available for hire. Rental charge:€ 4,50. Discounts for ‘JUFF’ family pass holders.  Free admission for holders of the ‘Freizeitticket Tirol’. NB: Discounts can only be granted when valid proof of ID is shown. Subscribe to our newsletter and receive up-to-the-minute information on, and exclusive offers for the Olympiaworld and our events.